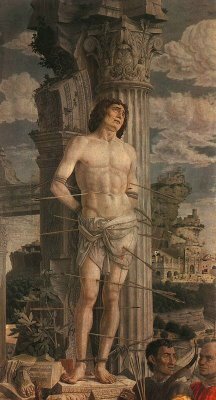 Riddled with arrows and left to die, St Sebastian (San Sebastiano), one of the most popular saints in sacred art, was a child of Milan. According to St Ambrose, he was a native of the city, while other sources, which place his birth in Narbonne, France, agree that he spent his adolescent years in Milan before moving to Rome, where he was martyred during the Diocletian persecutions. Among his attributes, St Sebastian (d. ca. 288) is a protector saint against the plague, a primary reason for his medieval popularity. His presence has been felt in Lombardy, particularly in the cities of Pavia and Milan. According to Paul the Deacon (d. 799), the plague of 680 stopped only after an arm relic of the saint was moved from Rome and set up in the church of San Pietro in Vincoli in Pavia. The story is repeated in the thirteenth-century Golden Legend (Legenda Aurea), which names Sebastian as one of the Fourteen Holy Helpers. 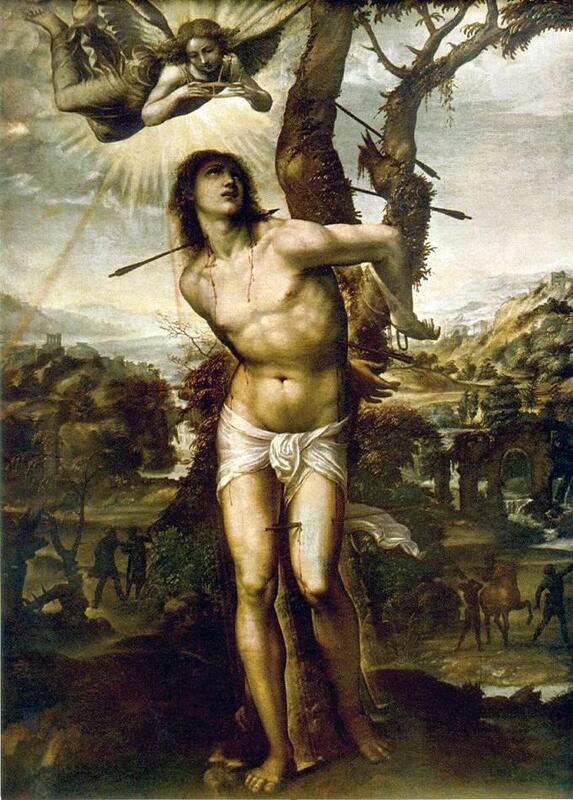 St Sebastian played a special role in Milan’s struggle to combat the plague of 1576-77. 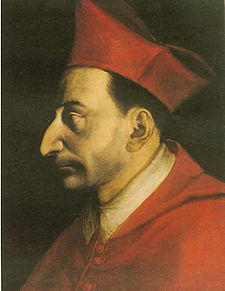 After the Spanish governor fled Milan upon the outbreak of the plague, Archbishop San Carlo Borromeo (1538-1584), whose legacy has been largely shaped by the administrative and pastoral care that he gave during the crisis, assumed responsibility for the city’s governance. 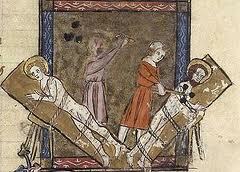 He also led the church’s cultic response to the calamity, invoking the assistance of St Sebastian. On October 15, 1576, Borromeo officially pronounced a public vow which included the reconstruction of the city’s ancient church of San Sebastiano. The project was entrusted to Carlo’s favorite architect, Pellegrino Tibaldi, and the foundation stone to the new building was laid on September 6, 1577. On January 20, 1578, on the feast of St Sebastian, the plague was officially declared to be over. Pellegrino Tibaldi worked on the church until 1587. Construction continued under Pietro Antonio Barca and Fabio Mangone. The round Mannerist building, whose design was likely influenced by Rome’s Pantheon and which transgressed the architectural norms of the Counter Reformation, was finally finished in the seventeenth century. Reflecting its ambiguity as both a church and a civic structure, the building is known as La Chiesa di San Sebastiano as well as Il Tempio Civico di San Sebastiano. ‘Take the example of the martyr Sebastian, whose birthday in glory we celebrate today. He was a native of Milan. At a time when persecution either had ceased or had not yet begun or was of a milder kind, he realized that there was only one slight, if any, opportunity for suffering. He set out for Rome, where bitter persecutions were raging because of the fervor of the Christians. There he endured suffering; there he gained his crown. He went to the city as a stranger and there established a home of undying glory. If there had been only one persecutor, he would not have gained a martyr’s crown’ (St Ambrose, Sermon 22: Exposition of Psalm 118). Although Ambrose’s account is short on details, recorded references to arrows and the plague would follow. According to a fifth-century description of his passion, the St Sebastian was active in the Roman army making converts to the Christian faith when his activities came to the attention of the Rome emperor Diocletian. When Sebastian remained obstinate in his Christian faith, the emperor ordered him to be tied to a tree and shot to death. However, after the archers riddled him with arrows and left him for died, a certain Irene of Rome, who came to attend to his body, found him still alive and carried him to her home where she nursed his wounds. Shortly afterwards, St Sebastian confronted Diocletian in person, who had him arrested and beaten to death with clubs. 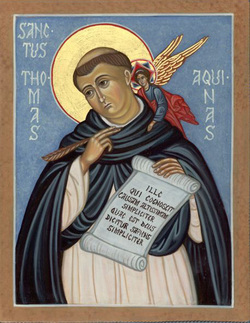 He is sometimes referred to as the twice-martyred saint. After his death, St Sebastian visited a pious woman named Lucina, informing her of the location of his body and instructing her to bury him in the catacombs on the Appian Way near where the bodies of St Peter and St Paul were buried at the time. In 376, Pope Damasus I built the Basilica of the Apostles on the site, which was later rededicated to St Sebastian, who remains the third patron saint of Rome after Peter and Paul. The current church, known as San Sebastiano fuori le mura (Saint Sebastian outside the walls) or San Sebastiano ad Catacumbas (Saint Sebastian at the Catacombs), is a seventeenth-century structure. It was one of the Seven Pilgrim Churches of Rome until 2000 when Pope John II (d. 2005) replaced it with the Santuario della Madonna del Divino Amore. 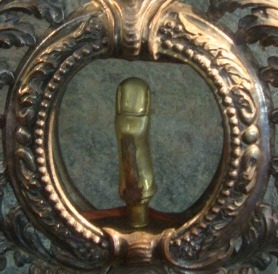 In 826, the saint’s relics were translated to the Abbey of St Medard in Soissons, France, a gift from Pope Eugene II (d. 827) to Abbot Hilduin (d. 830), establishing Soissons as a new center for the cult of St Sebastian. 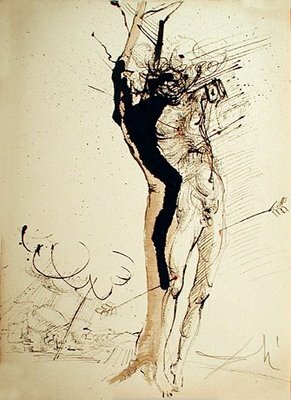 St Sebastian has occupied an important place in the imagination of artists from the early middle ages to modern times. Perhaps the earliest artistic representation of St Sebastian is a sixth century mosaic in the Basilica of Sant’Apollinare Nuovo in Ravenna, Italy (left). One of some twenty-six depicted martyrs, the figures are all identical in expression and lack any distinctive features. 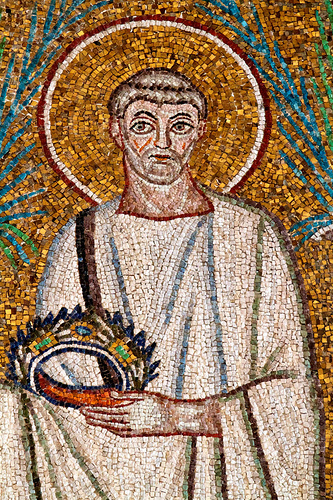 A mosaic in Rome’s Church of San Pietro in Vincoli, probably made in 682 shortly after the plague of 680, shows a grown, bearded man in court dress but lacks any trace of arrows. The saint’s common depiction as a handsome young soldier pierced but not mortally wounded by arrows only first appears around the year 1000 and became especially popular with Renaissance painters, including Rubens (1577-1640), Mantegna (c. 1431-1506) and Botticelli (c. 1445-1510), in response to the Black Death. St Sebastian has continued to capture the imagination of modern artists. 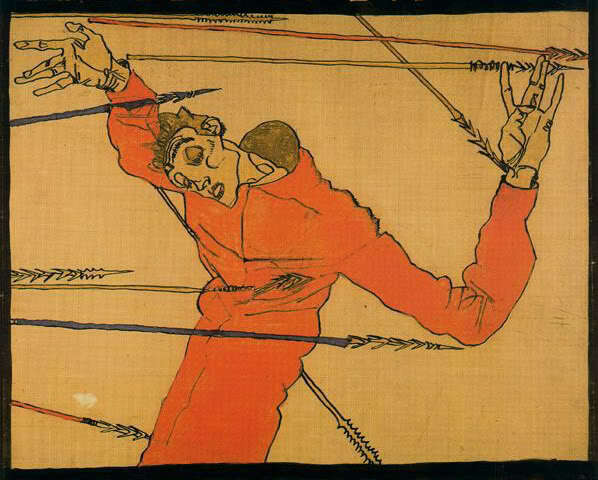 In 1914, Austrian Expressionist Egon Schiele painted a self-portrait as Saint Sebastian (left), while Salvador Dali created numerous paintings of the saint (below). More recently, Damien Hirst (2007) produced Saint Sebastian, Exquisite Pain, which depicts a young bull shot with arrows in a tank of formaldehyde. The work has been purchased by George Michael. (Also see Hirst’s sculpture of St Bartholomew which appears in a previous post). While there is no indication of St Sebastian’s sexuality in the hagiographical sources, there has been a subtext of homosexuality in the representation of the saint since the Renaissance, and he is unofficially the patron saint of the Catholic gay community. The British film, Sebastiane (1976), directed by Derek Jarman, controversially treated the character of St Sebastian as a homosexual icon. It also has the distinction of being the first film ever recorded entirely in Latin. 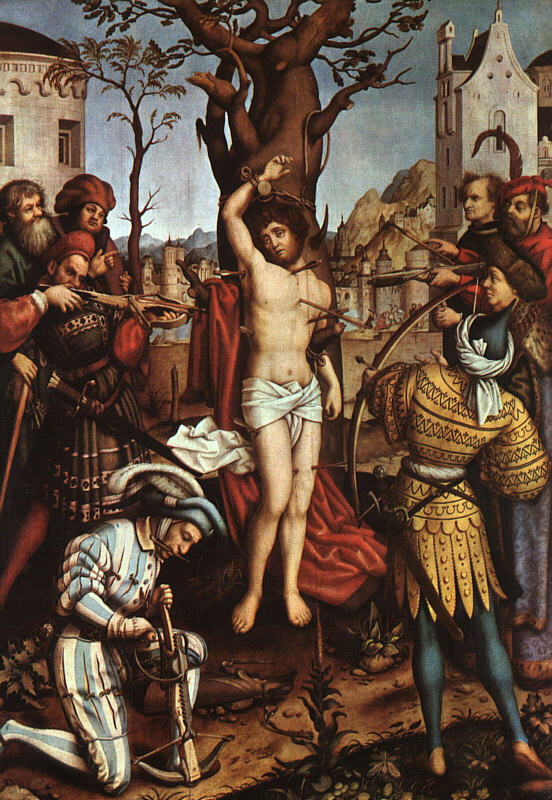 REM’s video, Losing My Religion, which won video of the year at the 1991 MTV Video Music Awards, includes imagery of St Sebastian, as does the image of Tom Cruise below. Milan’s best preserved early Christian monument is the Basilica di San Simpliciano, originally the Basilica Virginum. With its original walls still stretching over 19 meters high, some claim that San Simpliciano is the best preserved early Christian structure in the entire Mediterranean basin. 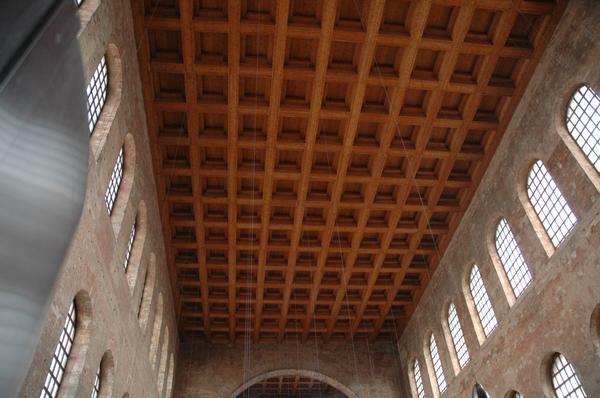 Built in the shape of a Latin cross over 56 meters long, 21 meters wide and 22 meters tall, San Simpliciano was possibly modeled upon the Basilica of Constantine in Trier, Germany (below). Indeed, the cities of Trier and Milan, both Roman capitals, were well-connected. St Ambrose (d. 397), whom according to tradition founded the Basilica Virginum, was born and raised in Trier, and later visited the city on official business as the bishop of Milan. He was very well acquainted with the Basilica of Constantine, and it may well have served as the inspiration for Ambrose’s church. While the church was originally dedicated to the virgins of Christian faith, it was later rededicated to San Simpliciano (d. 401), Ambrose’s successor as the bishop of Milan. The relics of San Simpliciano can still be seen behind the main altar. Ambrose’s christianization of the city of Milan included the creation of extramural church complexes on the major roads leading outside the city. The Basilica Apostolorum (now San Nazaro) was on the road to Rome; the Basilica Martyrum (now Sant’Ambrogio) was on the road leading towards Gaul, and San Simpliciano, formerly the Basilica Virginum, was built just outside the city walls on the road leading to Trier by way of Como and the Splügen Pass. Although Ambrose does not mention that he was responsible for the Basilica Virginum, its Ambrosian origins are confirmed in the thirteenth century by Benzone of Alessandria who states that: ‘the basilica now called San Simpliciano was founded by Blessed Ambrose in honor of Blessed Mary’. Moreover, it has been speculated that the commissioning of the basilica may have coincided with a council convened by Ambrose in Milan in 393 to condemn the Jovinian heresy, which denied the virgin birth. 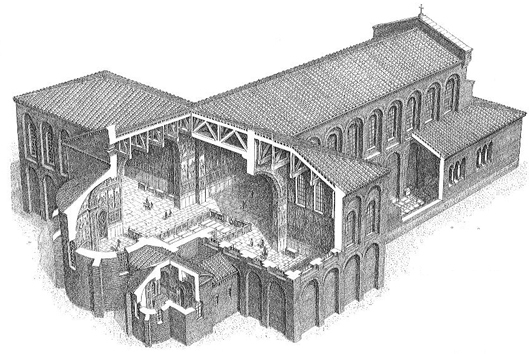 The original basilica consisted of a long single nave and had large, tall windows that illuminated the church’s interior. 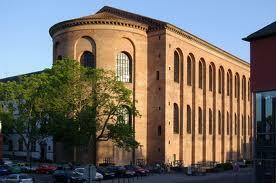 It also had a portico on three sides of its exterior. 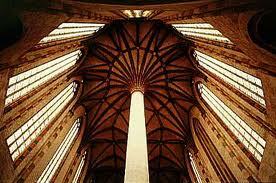 The first modifications to the structure probably took place during the Langobard period in the seventh century when the single nave was divided into three. More substanial changes took place during the twelfth and thirteenth centuries when the church assumed its Romanesque character. When the Benedictines of Monte Cassino took possession of the church from the Cluniac monks in the sixteenth century, they found that the church, described as ‘being of high, majestic architecture with three cross-shaped naves, had become so indecent that it looked like a barn or a hut. . . . The windows were small, and everything was smoky and black’ (P. Puccinelli, Zodiaco della Chiesa Milanese, Milano 1650). In the nineteenth century, the walls and pillars were completely covered by mortar and painted with blue and white stripes in an effort to imitate the marble work of Tuscan churches. Restoration efforts after WWII removed the plaster and recovered much of the basilica’s early Christian character. The Basilica di San Simpliciano has also been linked with the martyr saints of Sisinio, Martirio and Alessandro (May 29) originally of Capadoccia. According to legend, the saints arrived in Milan, from where they were sent by Ambrose to help with the missionary efforts of Bishop Vigili of Trent. They were martyred in 397 in Anaunia (now the Val di Non), and their bodies were sent back to Milan, where Simpliciano was now the bishop of Milan. The saints were interred into the basilica, and their relics now lie underneath those of San Simpliciano. A small chapel to the left of the apse is also dedicated to the saints. 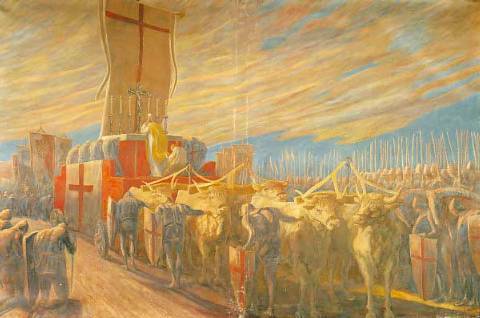 In May 1176, a carroccio, or sacred war wagon drawn by oxen, set forth from the church towards the Battle of Legnano, where the purported intercession of Sisinio, Martirio and Alessandro gave victory to the Lombard League over Frederick Barbarossa on May 29, 1176. The body of Peter of Verona, also known at St Peter Martyr, lay in state in the basilica on the night of his murder, April 6, 1252. The most striking artwork in the church is the ‘Crowning of the Virgin’ (early sixteenth century) by Ambrose of Fossano, also known as Bergognone, which is located in the vault of the apse. 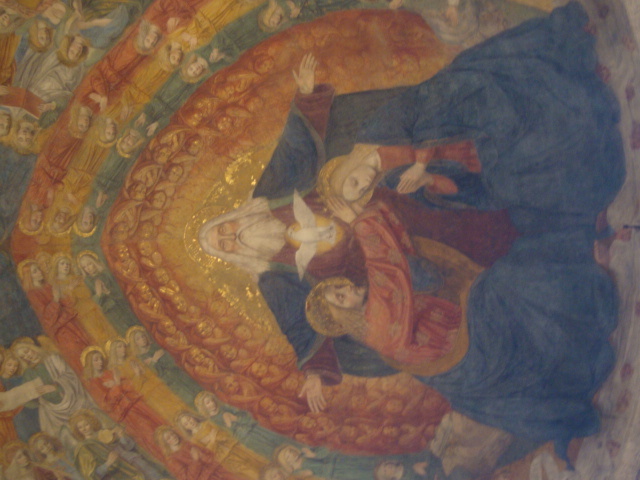 The work depicts the moment when the Virgin Mary was crowned by Christ in the presence of God and the heavenly chorus. Along with his theological writings, St Ambrose of Milan (d. 397) adopted a material and spiritual strategy – new church construction and the promotion of the cult of the saints – for combating Arianism (i.e., the view that Jesus Christ, the Son of God, was subordinate to God the Father). His main antagonist was the Empress Justina (d. ca. 391). In short, if Ambrose could produce the right quality of churches, saints and miracles in the name of the pro-Nicene cause, which accepted the Trinitarian doctrine of the Nicene Creed (325), he could effectively neutralize the Arian threat. It literally became a scavenger hunt for the soul(s) of the city of Milan. Ambrose’s building efforts included the Basilica Apostolorum (now San Nazaro in Brolo), the Basilica Virginum (now San Simpliciano) and his crowning achievement, the Basilica Martyrum, which was eventually renamed in his honor as the Basilica di San’Ambrogio. At the time, Nabor and Felix, two Roman soldiers from present-day Algeria, who were martyred twenty-five kilometers from Milan, were the city’s patron saints. Yet, as holy as Nabor and Felix were, they did not make the cut for Ambrose’s new basilica. The stakes were simply too high. Milan – and the pro-Nicene Church – needed its own native martyr. What Ambrose found were twin brothers, SS Gervasius and Protasius, whose martyrdom in Milan is variously dated to the reigns of Nero (54-68), Marcus Aurelius (161-180) and Diocletian (284-305). The traditional date of their death is October 14. While their historical dates are unclear, on June 7, 386, the bodies of the martyred saints, Gervasius and Protasius, were discovered in the cemetery of the Basilica of Nabor and Felix, providing Ambrose with just the relics that he had been looking for. The translation of the relics and the dedication of the pro-Nicene basilica took place a few days later on June 19, which is still celebrated as Gervasius and Protasius’ feast day by the Roman Catholic Church. A delighted Ambrose shares the story of the saints’ discovery in a letter to his sister, Marcellina: ‘I found the fitting signs, and on bringing in some people on whom hands were laid, the power of the holy martyrs became so manifest that even whilst I was still silent one was seized and thrown prostrate at the holy burial place. There, we found two men of marvelous stature, such as those of ancient days. All the bones were perfect, and there was much blood’. In the end, the proof was in the miracles. Saint Augustine, who witnessed these events while he was still in Milan, describes the effects the miracles had in curbing the advance of Arianism: ‘For it was only about a year – not much more – since Justina, the mother of the boy-emperor Valentinian, had persecuted the servant Ambrose on behalf of her heresy, in which she had been seduced by the Arians. The devoted people kept guard in the church, prepared to die with their bishop. . . . Then by a vision God made known to the renowned bishop the spot where the bodies of Gervasius and Protasius, the martyrs, lay, whom God had preserved uncorrupted for so many years in a secret storehouse, in order to produce them at a fit time to check a woman’s fury – a woman indeed, but also a queen! When they were discovered and dug up and brought with due honor to the basilica of Ambrose, as they were borne along the road, many who were troubled by unclean spirits were healed. And there was also a certain man, a well-known citizen of the city, blind many years, who, when he had asked and learned the reason for the people’s tumultuous joy, rushed out and begged his guide to lead him to the place. When he arrived there, he begged to be permitted to touch with his handkerchief the bier of the saints. When he had done this, and put it to his eyes, they were immediately opened. The fame of all this spread abroad; from this God’s glory shone more brightly. And also from this the mind of that angry woman, though not enlarged to the sanity of a full faith, was nevertheless restrained from the fury of persecution’ (Augustine, Confessions, 9.7.15). 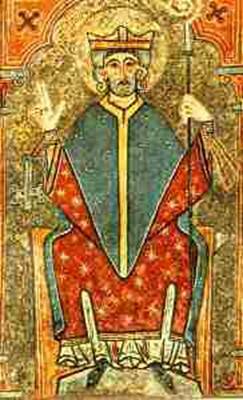 A similar account is given by Paulinus the Deacon (fl. 422), who describes the discovery of the relics in his Life of Saint Ambrose: ‘About the same time, the holy martyrs Protasius and Gervasius revealed themselves to the bishop. For they had been placed in the Basilica of Nabor and Felix. The holy martyrs Nabor and Felix were visited very often, while the names as well as the sepulchers of Gervasius and Protasius were unknown, and to such an extent that all walked over their sepulchers who wished to approach the grates by which the sepulchers of the holy martyrs Nabor and Felix were protected from harm. But, when the bodies of the holy martyrs were raised and placed on biers, the diseases of many were shown to have been healed. Even a blind man, Severus by name, who even now piously serves in the same basilica which is called the Ambrosian, into which the bodies of the martyrs were taken, when he touched their garments, received his sight immediately. Likewise, bodies possessed by unclean spirits returned to their homes with the greatest gratitude after they had been healed. And as by these beneficial works of the martyrs the faith of the Catholic Church increased, so did the heresy or the Arians decrease’ (Chapter 5). In the end, miracles speak louder than theology. Ambrose won the scavenger hunt and the soul of the city of Milan. 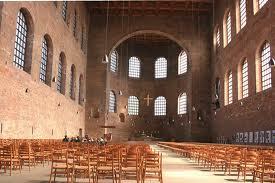 The relics of Gervasius and Protasius can still be seen at the Basilica di San’Ambrogio. St Bartholomew Flayed (1562), a gruesomely realistic statue of the apostle, adorns the south transept of the Milan Duomo. The sculptured figure of the stoic but skinless young man is the best known work by Marco d’Agrate (c.1504 – c.1574), who was so assured of the morbid brilliance of his work that he signed it with the carved inscription: ‘I was not made by Praxiteles but by Marco d’Agrate’. Mark Twain simply found the statue repulsive. During a guided tour of the Milan Duomo on his 1867 journey to the Holy Land, the American writer was introduced to the ‘coffee-colored piece of sculpture . . . of such faultless accuracy’ which is ‘still seen today by the daily throng of tourists’. 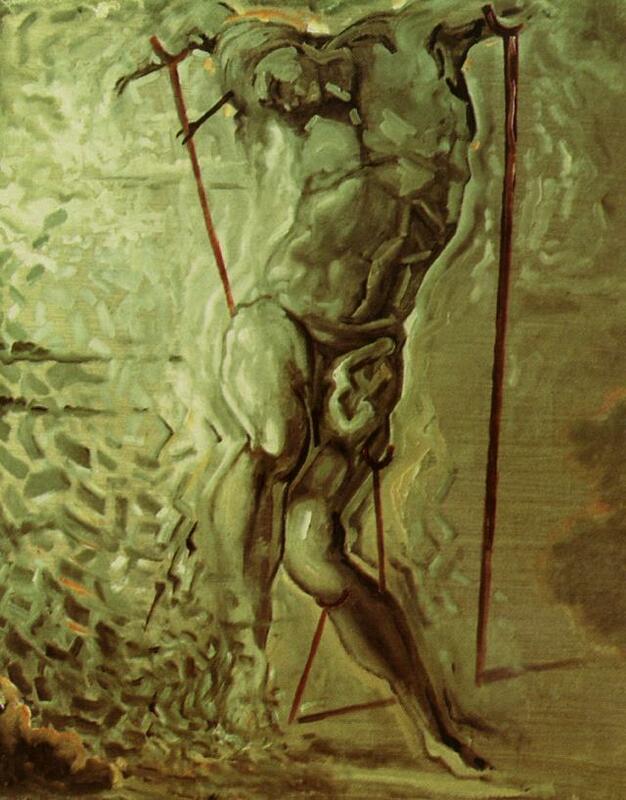 Twain writes: ‘The figure was that of a man without a skin; with every vein, artery, muscle, every fiber and tendon and tissue of the human frame represented in minute detail. It looked natural, because somehow it looked as if it were in pain. A skinned man would be likely to look that way unless his attention was occupied with some other matter. ‘It was a hideous thing, and yet there was a fascination about it somehow. I am very sorry I saw it, because I shall always see it now. I shall dream of it sometimes. I shall dream that it is resting its corded arms on the bed’s head and looking down on me with its dead eyes; I shall dream that it is stretched between the sheets with me and touching me with its exposed muscles and its stringy cold legs. It is hard to forget repulsive things’ (Twain, Innocents Abroad, Chapter 18). The statue of Bartholomew, whose feast day is August 24, remains an unforgettable attraction of the Milan Duomo. Bartholomew is often identified as the same person whom John the Evangelist names as Nathanael (John 1:45-49, John 21:2). According to Eusebius of Caesarea (d. 339), Bartholomew went on a missionary tour of India, taking with him the writings of Matthew (Ecclesiastical History, 5.10). 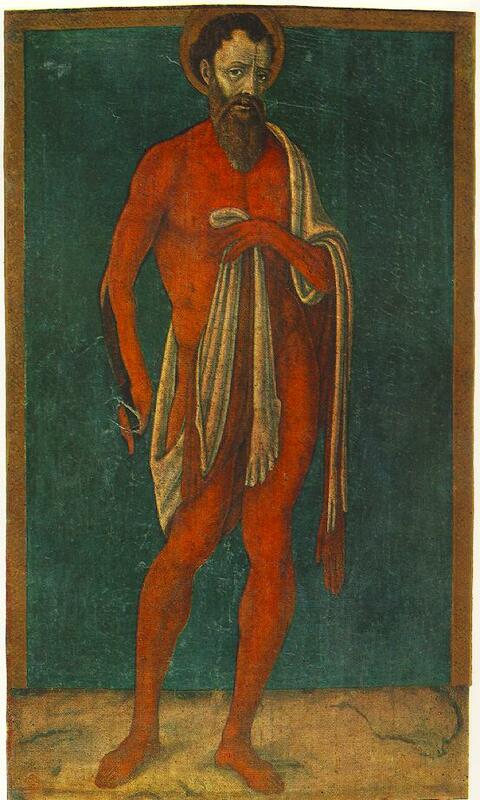 Images of St Bartholomew, including St Bartholomew Flayed, often depict the apostle holding a copy of Matthew’s gospel. Despite the words of Eusebius, the strongest tradition links Bartholomew with Armenia, where he and his fellow apostle Jude are credited with bringing Christianity to the country and are recognized as the patron saints of the Armenian Apostolic Church. The Saint Bartholomew Monastery, now in ruins, was built on the traditional site of Bartholomew’s martyrdom. The relics of the saint have also been historically linked with the Saint Bartholomew-on-the-Tiber Church (Rome), the Canterbury Cathedral (England), the Frankfurt Cathedral (Germany) and the Cathedral of St Bartholomew (Lipari, Italy). 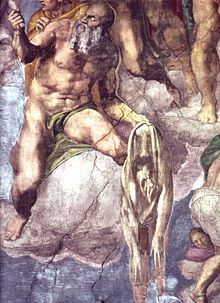 Michelango (d. 1564) included an image of Bartholomew in his famous fresco, Last Judgment, in the Sistine Chapel, the Vatican. 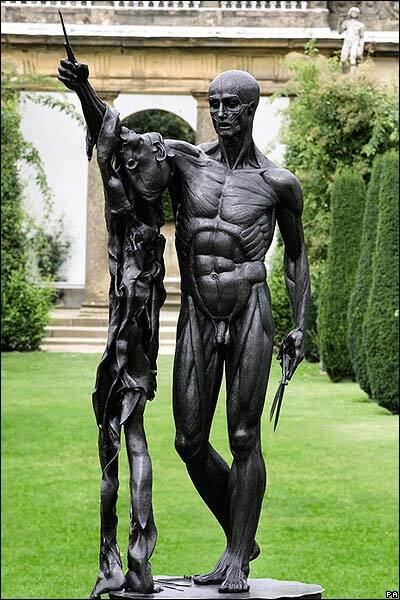 A modern sculpture of St Bartholomew, Damien Hirst’s Exquisite Pain (2006), is on display at Chatsworth House, Derbyshire, England. 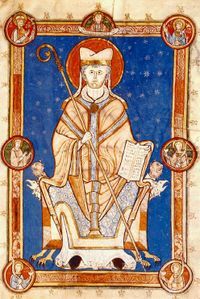 Christian sainthood often runs in the family, which is the case with St Ambrose (d. 397), the patron saint of Milan, whose two siblings, Marcellina (July 17) and Satyrus (September 17) are also recognized saints. This week is the feast day for Marcellina, the older sister of Ambrose, who was probably born in Trier, Germany around 330. 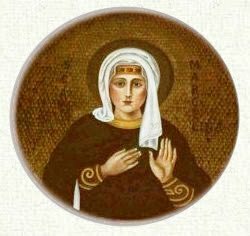 According to the Vita sanctae Marcellinae, Marcellina died in Milan around 70 years of age when Simplicianus was bishop (reigned 397 – 400/1), and she was originally buried near her brother in the crypt of the Basilica di Sant’Ambrogio. In 1722, her relics were rediscovered and eventually translated to a side chapel in the basilica, specially rebuilt as the Chapel of St Marcellina in 1812 according to the neoclassical plans of Luigi Cagnola (d. 1833), who also designed Milan’s Arco della Pace. 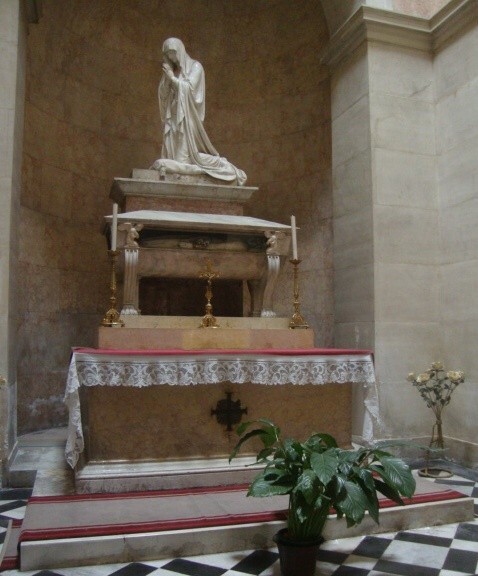 The 19th century statue depicting Marcellina in prayer is by Camillo Pacetti (d. 1826). Glimpses of the historic figure of Marcellina appear in the writings of Ambrose. The bishop dedicated a treaty on virginity, De virginibus, to Marcellina, which is considered the first systematic Christian discourse on the topic. During Epiphany in 353, Marcellina, while living in Rome, was consecrated to a life of virtue and chastity and received the ‘veil of virginity’ from Pope Liberius (d. 366). 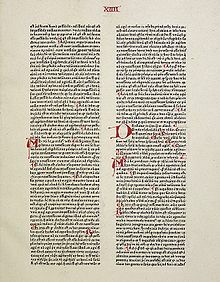 The pope’s sermon from this occasion is preserved in De virginibus. Upon the unexpected death of their brother, Satyrus (d. 376), Ambrose comments upon the grief of his sister in his funeral homily, De excessu fratris Satyri (On the Death of Satyrus): Marcellina, ‘deprived of comfort, anxious for her own modesty, lately blessed with two brothers, but now wretched because of both of them, being able neither to follow the one in death nor to leave the other in life. . . Our food is mingled with weeping and our drink with tears, for we have been given the bread of tears as food, and tears to drink in large measure, no, even beyond measure’ (1.33). Contemplating the future death of his sister, who eventually outlived him, the bishop writes: ‘What can ever be pleasant to me without you? Or what satisfaction will it be to remain longer in this life and to linger on the earth where we have lived together with pleasure for so long?’ (De excessu fratris Satyri, 1.34). Marcellina was also the recipient of three extant letters of Ambrose in which the bishop narrates important events regarding the religious and political life of Milan and the Roman Empire in the fourth century. In Epistula 20, Ambrose describes the events of Holy Week in 386 when the Empress Justina tried to seize two Milanese basilicas for use by the Arians. In Epistula 41, Ambrose provides his response to Emperor Theodosius’ burning of a synagogue at Callinicum by explaining the difference between a church and a synagogue, and in Epistula 22, Ambrose tells Marcellina of an event that would have significant implications for the religious life of Milan – the discovery of the martyred bodies of SS Gervasius and Protasius, who would also become patron saints of the city. Today, the composer, recipient and two subjects of Epistula 22 – Ambrose, Marcellina, Gervasius and Protasius – are each enshrined in Milan’s Basilica di Sant’Ambrogio. The cult of Marcellina has never attracted much of a following outside of Milan. However, today, a group called the Sisters of St Marcellina runs the Institute of St Marcellina in Hampstead (London), which was established in 1955 as a residence for young foreign women studying in London.